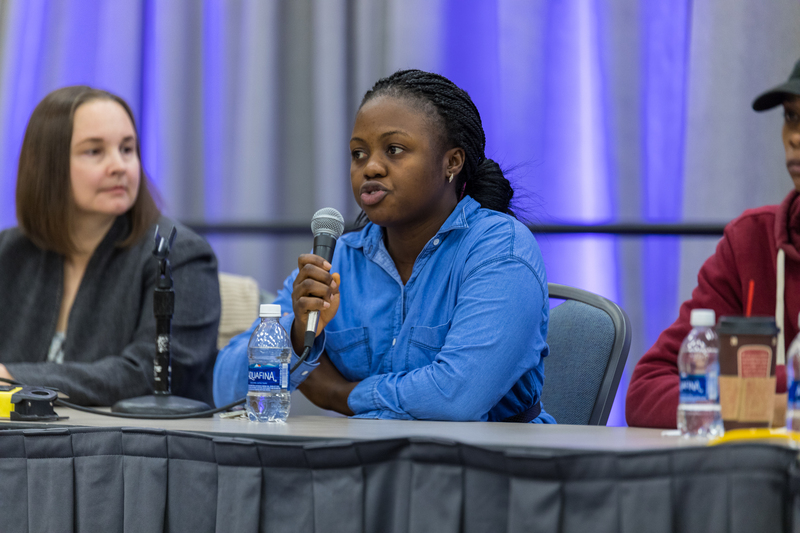 The voices session provides an opportunity for educators of all sorts to hear directly from first-year college students who experienced homelessness during their K-12 education. This group, who are college scholarship recipients, will speak about the barriers that they have experienced as students experiencing homelessness, as well as the strategies, people, and resources that have been helpful in overcoming these barriers. The audience will gain valuable insight into what this population of students needs to graduate from high school, and students will get support from each other and from the group as they tell pieces of their story. The student discussion will be facilitated by an experienced educator who will guide the students with compassion and purpose. The ten presenter students have valuable lived experience on the session topic.